At any given hour of the day, you can hear Thornton W. Burgess audiobooks in one room of our home, Jim Weiss’ reading of Story of the World in another. Other times it’s The Wingfeather Saga in the girls’ room, and The Tales of Larkin in their brother’s room. I have to ask them (approximately half a dozen times a day) to please turn down their stories so I can hear myself think. But even so, I’m a big fan of my audiobooks–for my children and myself. Audiobooks are so much more than just wholesome entertainment. Audiobooks can inspire the imagination, train vocabulary, instill values, teach character traits, and introduce classic literature. Audiobooks give Mom and Dad’s voices a break from reading aloud (and literally save the day when everyone has a cold bug and no voice). 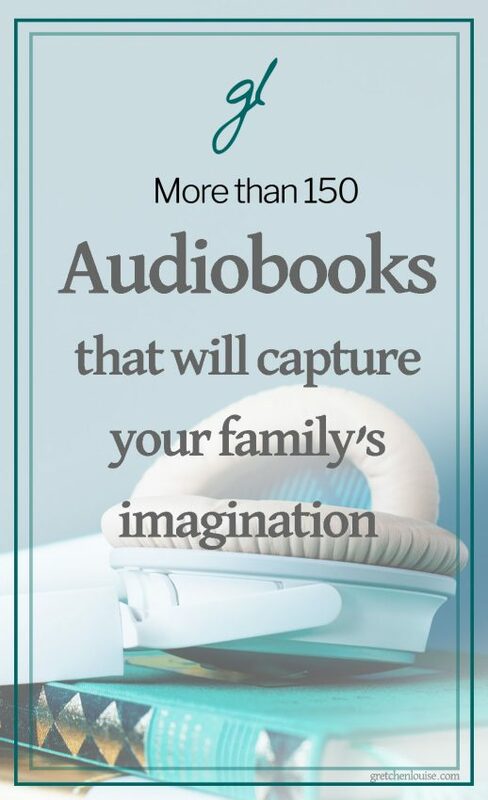 And audiobooks can be enjoyed together by the whole family whether folding laundry or going on a road trip. Audiobooks can’t replace after breakfast devotions with Daddy, Morning Time with Mommy, or the latest bedtime read aloud with Daddy. But whether it’s a rainy morning or a road trip, at naptime or at playtime, audiobooks are a practical way to enjoy stories together more often. Sometimes it’s Daddy and son listening to a book together while driving the tractor, or Mommy choosing an audiobook that will keep her attention (as well as her children’s!) on a long drive without Daddy. Sometimes it’s the children asking if they can listen to “just one more chapter” before bed, or Daddy and Mommy falling asleep to the latest story they are enjoying together. Other times it’s the whole family on the edge of their seats in the car, “Are we there yet?” temporarily forgotten as they enjoy a new tale together. No matter the time and place, our family loves audiobooks. 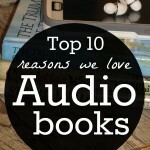 And in this post, we want to share some of our favorite audio titles with you! We really hope you’ll return the favor and comment with the titles you love. 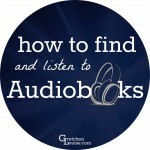 Audible is one of my favorite sources for audiobooks because I don’t have to worry about CDs getting lost or scratched, and we can stream or download the books whenever we like to on whatever device we want to use. Alice’s in Wonderland* is a book I did not particularly enjoy as a child but has become an absolute favorite of my children’s. I think their favorite part is the Very Merry Unbirthday Party because one of my oldest and dearest friends throws them just such a party each time she comes to visit. They are anxious to listen to Through the Looking Glass next. The Chronicles of Narnia, while a favorite in the Radio Theatre edition, is one of those series you want to listen to over and over, word for word (all 7 books!). Five Children and It* seems at first glance nothing but a fantasy tale, but as is often the case with Edith Nesbitt’s stories, there are many lessons to be learned. The trilogy of the Psammead both delights and teaches my children. The Enchanted Castle* is one of Edith Nesbitt’s we haven’t yet listened to, but we’re looking forward to it because we love her work so much. Peter Pan* is one of those classics that is so much better in its original form than in the movie renditions. Tales from Dimwood Forest is a series that my oldest daughter and niece have only begun, but already thoroughly enjoy. Start with the prequel Ragweed, then enjoy Poppy and the other four books in the series (all 6 books are available on Audible). The Princess and the Goblin* and The Princess and Curdie* were some of my earliest introduction to George MacDonald. I was delighted to introduce my children to a favorite author through these audiobooks. The Secret Keepers reminded me a tiny bit of The Lord of the Rings, with aspects of “my precious” set in a slightly more modern-day scene. I know my children will enjoy it as an audiobook when they are all more tween/teen age. I really appreciated the way the book showed one character’s struggle to do what was right (and the powerful influence of friends, for good and evil) and another character’s desire to break out of the family mold (and how that eventually led him right back to the heart of his family). 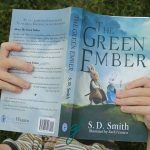 The Wingfeather Saga is another fantasy world that my sister-in-law has introduced us to. 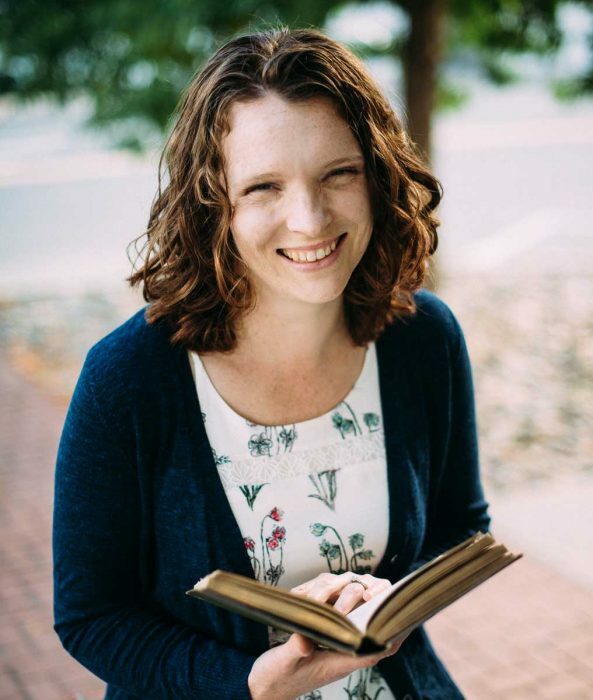 While at first I’d overhear parts of the story and wondered what my kids saw in it, when I was able to listen to a large portion of it at once I too fell in love with the characters and Andrew Peterson’s storytelling in printed form (my husband and I–as well as the kids!–are already a huge fan of his music). The Wonderful Wizard of Oz* was a childhood favorite of both mine and my husband’s. While I only ever read the first book, Merritt collected much of the whole series in the original hardbacks. 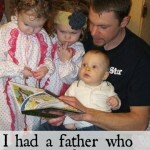 Our children follow in his footsteps–they listen to the Oz books often. The Railway Children is a perennial favorite in our family (along with The Treasure Seekers by the same author! ), while Swallows and Amazons is a new discovery that we’ve all fallen in love with. With favorite animal tales like Beatrix Potter and Thornton W. Burgess, along with character-building classics like Five Little Peppers and Caddie Woodlawn, these are some of our favorite classic fiction audiobooks that we listen to over and over again. James Herriot and Laura Ingalls Wilder were integral parts of my childhood. My husband grew up on Little Britches and Farmer Boy. They’re not just classic–they’re non-fiction classics that teach our children how things were “back then”. The Burgess Bird Book for Children* is a fun way to learn about birds! Carry On, Mr. Bowditch was a favorite of my brother’s and mine when we were growing up. Come On, Seabiscuit! isn’t just a true story…it’s a horse story. And told by a favorite author, Ralph Moody. James Herriot’s Treasury for Children has a special place in my heart because I grew up reading every single one of James Herriot’s books for children from my granma’s bookshelves. My papa and my uncle were veterinarians so the stories of this country vet hold a special place in our hearts. Johnny Tremain is a historical fiction book that I loved growing up and I look forward to sharing with my children. Little Britches and the rest of the series by Ralph Moody (8 books in all) are must-reads for every family, but especially for boys. Hard work, honesty, integrity–Ralph Moody’s storytelling makes memorable the lessons he learned that shaped his character. Little House in the Big Woods and the rest in the Little House on the Prairie series (as narrated by Cherry Jones) are favorites of mine and my children’s. I grew up reading everything possible about Laura Ingalls Wilder. And these her classic works belong in every family’s library–in print and in audio form! Riders of the Pony Express is another by Ralph Moody, chronicling the exciting details of how the mail used to be delivered. The Story of the World: History for the Classical Child might qualify as “school”, but my kids turn it on for fun all the time! It’s history, but with Susan Wise Bauer’s memorable storytelling and Jim Weiss’ narration, it’s not just educational, but enjoyable, as well. Sometimes it’s the reader that makes the story. Here are a few books we love especially for their narrator. Ethell Barrett’s storytelling was popular for a reason: her iconic voice is soothing and exciting at the same time. I spent hours listening to her story tapes and am glad to be able to share her important biblical lessons with my children. Jim Weiss has an inimitable voice that was just made for narrating audiobooks. While we were first introduced to him in Story of the World, we’ve come to enjoy many of the other books he’s narrated, as well (Sherlock Holmes for Children may be my children’s favorite!). If you’re new to enjoying public domain books on Librivox, it can be hard to navigate all the narrators and titles. You can start with some of our favorites by checking out these narrators first. 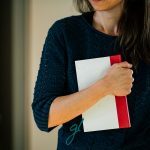 Loyal Books, Librivox, and Gutenberg are great ways to enjoy copyright free books read by volunteers. Christian Audio features a different audiobook for free each month. Read Aloud Revival is always sharing new Audible deals on Facebook and Instagram (you can often purchase a free or 99-cent Kindle book and upgrade to the Audible edition for very little!) on Facebook and Instagram. Other Facebook pages to watch for Audible deals include Simple Homeschool with Jamie C. Martin. There’s an overview of our audio library. I hope you’ll share favorites from your own in the comments! « Is your opt-in freebie ready to share with your subscribers?